Originally Published in The Washington Examiner by Adam Brandon on 8/30/18. 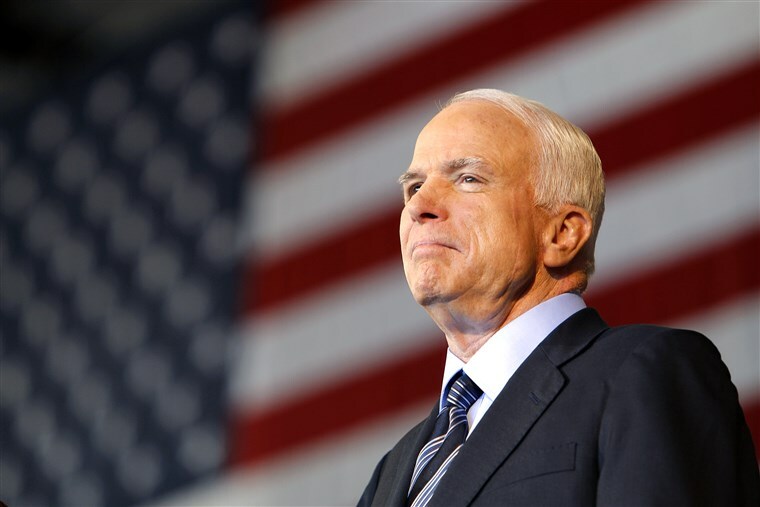 Sen. John McCain was a statesman and a giant who commanded respect through his sacrifices for America. He dedicated his life to serving this great nation, both in its defense during his time in the Navy and as a member of Congress. His seat is not easily filled, and his legacy will be even more challenging to live up to. To protect the integrity of this seat, picking a successor to McCain should be guided by a few key principles. The person who Ducey appoints should be a solid conservative who is battle-tested. He or she must understand the long-term challenges facing the United States, have a knowledge of how to fix these issues, and a desire to change how Washington works. The one potential appointment who consistently meets these criteria is former Rep. Matt Salmon. Salmon served two stints in the House of Representatives, most recently from 2013-2017. He earned a reputation as a solid fiscal conservative who worked to defend the Constitution and reduce the size and scope of the federal government. He earned a lifetime 98 percent score from FreedomWorks’ Congressional Scorecard, which is no easy task to accomplish. Salmon’s leadership as a fiscal conservative is sorely needed in the Senate. Earlier this year, the Senate passed a budget that busted the spending caps by nearly $300 billion over two years. We already face long-term fiscal problems, and yet this budget doubled down on Washington’s commitment to leave our children and grandchildren with an unimaginable debt burden. Although tax revenues over the next 10 years will be roughly in line with the average of the past 50 years and higher than the previous decade, the exorbitant spending levels in the budget passed in February set a new baseline for spending. This means higher deficits and a larger national debt. We need leaders in the Senate who will stop the madness. Salmon has already proven he is a reliable vote for responsible spending cuts, tax cuts, and policies that provide more economic opportunities for Arizonans. Like Sens. Mike Lee, R-Utah, and Rand Paul, R-Ky., Salmon recognizes the pro-growth Republican legislative agenda is working. All signs point to a return to 3 percent annual economic growth this year, something our country hasn’t seen since 2005. Consumer confidence is up, and businesses are hiring more workers. We need legislators in the Senate who will keep this momentum going. Matt Salmon also has a record of fighting to restore checks and balances in Washington. During his time in the House, he supported legislation to return legislative power to Congress by reining in the federal regulatory bureaucracy. Perhaps most importantly, Salmon has the widespread support of the Republican base in Arizona. He was elected to the House by overwhelming margins, winning more than 67 percent of the vote in Arizona’s 5th Congressional District in 2012 and nearly 70 percent in 2014. Grassroots conservatives trust Salmon’s limited government, pro-growth campaign rhetoric because he walks the walk. He goes to Washington and votes exactly how he promised constituents he would. Channeling Goldwater, Matt Salmon knows the fiscally conservative approach works best for Arizona and America. The shoes of Sens. Goldwater and McCain are big ones to fill, but Salmon has demonstrated he is the right person to choose for this seat — not just through his words, but through his actions.